There’s a pie place near me called Maui Pie. I don’t think I’ve ever had a piece of pie from there. Instead, I always get cookies. The have the most delicious sugar cookies! They have a cake-like, crumbly texture. I’ve only ever had this kind from bakeries, but surely they must be something a person could make at home. 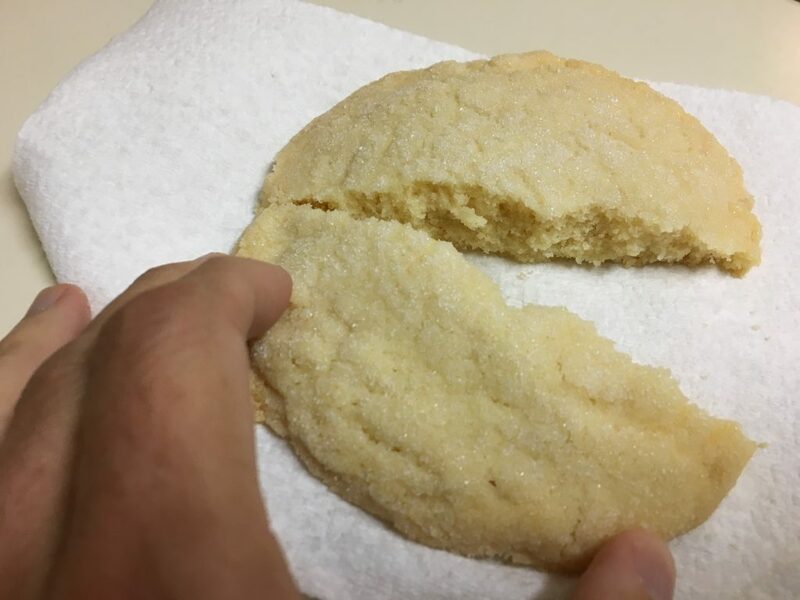 My searches on the internet produce recipes for “crispy” cookies, and for “chewy” cookies, but these are neither crispy nor chewy. I’m not sure what word to use when searching, but whatever it is, I haven’t discovered it. So for now, I’ll continue to get my sugar cookie fix from the bakery. Thurman prefers these sort of cookies as well…not my thing, crumbs everywhere, and no idea how they are made, unless they are mere;y tiny little cake batter droppings. Glad you (and he) enjoy them.